After 15 years in business, Garrison Brewing is expanding in a major way with the construction of its second location at the Halifax Seaport. “As exciting as it is to produce a new beer and have it sell out in days, that’s really not the goal,” explains Garrison President Brian Titus. "After six consecutive years of double-digit growth, we've simply run out of ways to make more beer in this location". 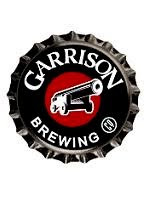 In 2012, Garrison produced 26 distinctive craft beers and five craft sodas, with limited distribution in eight Canadian provinces. Garrison will develop over 13,000 square feet of rough industrial space in the Film Media Centre (FMC). The building was once used by VIA Rail for train repair but is now owned by the Halifax Port Authority and is home to a range of creative businesses. The $2 million expansion will take several months to complete and allow Garrison’s production to eventually triple. It will serve as the brewery’s primary facility for brewing, packaging and distributing while consolidating product and materials stored in three separate warehouses. As with its original system, Garrison has commissioned veteran P.E.I. brewery fabricators, Diversified Metals Engineering, to produce the best gear possible with the greatest local impact. An integrated new brewhouse, large cellar tanks and support equipment will account for nearly half the expansion cost. The existing location at 1149 Marginal Road will continue to be the destination for brewery visitors. “By moving most of the process across the street, we’ll be able to expand retail and hospitality, providing a better experience for people and events,” Mr. Titus says. The original brewhouse, grain silo and several tanks will remain in place for specialty beers and collaborations with other brewers. Garrison’s expansion will also allow the brewery to pursue its environmental goals. The biggest impact though will come from a plan to meet stringent new wastewater guidelines. Over the first few years, Garrison will phase-in new technologies aimed at pre-treating its effluent - a first for small to mid-sized breweries in Canada. According to Mr. Titus, the decision to stay at the Seaport was an easy one. While Garrison’s focus is primarily on serving the local market, a second facility means more beer for those living outside the Maritimes.